The team behind Beam Privacy has recently announced on an interesting implementation of Mimblewimble as Extensions Blocks into Litecoin. What it means is that once applied, conversion from LTC to LTC-MW and back will be possible. It’s important to mention that the implementation is an extension of Litecoin’s first layer, not a sidechain. The research and development process will be quite long and subject to extensive peer review. The outcome may also improve the Mimblewimble implementation in Beam assuming relevant improvements will be found during the collaboration. The implementation will be an open source and with a permissive license. In the future, Beam expects that other coins decide to integrate to it as well, especially if they are a fork of Bitcoin, which is easier to integrate. If Mimblewimble is available on Litecoin, won’t it make Beam unneeded and redundant? Team has been chatting with the @vcorem and @beamprivacy team about MimbleWimble on Litecoin with Extension Blks. Pleasantly surprised that Beam has already implemented switch-commitments w/ ElGamal. It’s a safety switch to protect against quantum computing breaking CT soundness. Beam Privacy is a new cryptocurrency built on the Mimblewimble protocol. The last focuses on privacy, fungibility, and scalability. 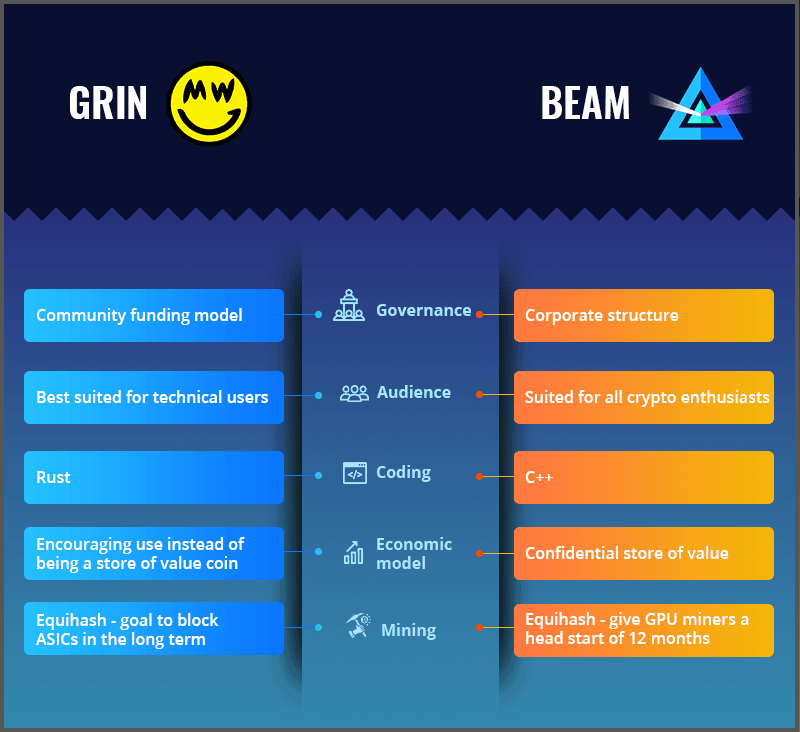 Beam has recently started trading and gained popularity, together with Grin Privacy project. The post Litecoin Collaborates With Beam Privacy For Mimblewimble Implementation appeared first on CryptoPotato.